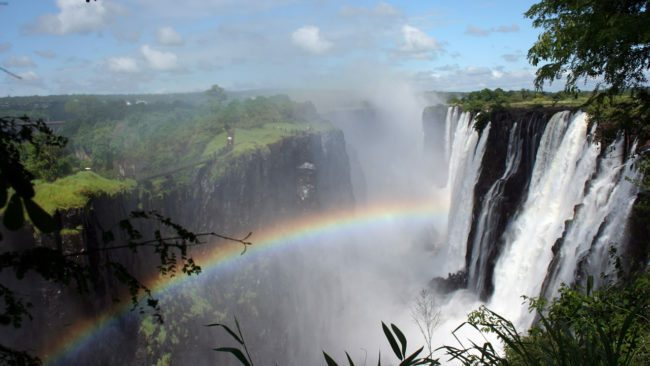 Victoria Falls or Livingstone Stopover – The Great Canadian Travel Co. 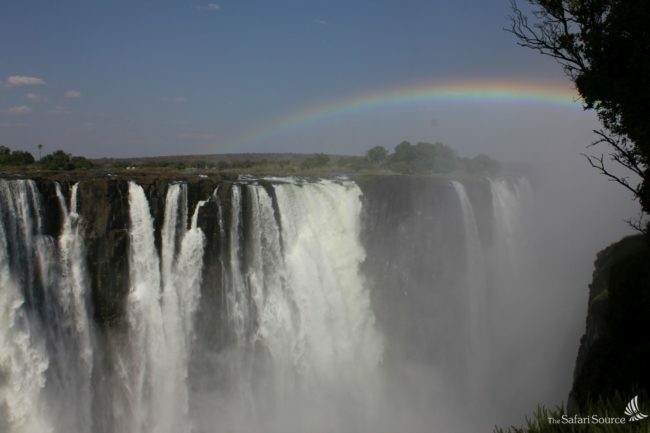 This short stopover program in Victoria Falls, Zimbabwe or Livingstone, Zambia is designed to be added on to the end of your safari, or it can be done as a stand-alone, short break in this beautiful area. Lead in prices are shown in US$ per person based on two people sharing a twin room and one person in a single room. Actual prices for your package will depend on the actual dates of travel and availability of accommodation. 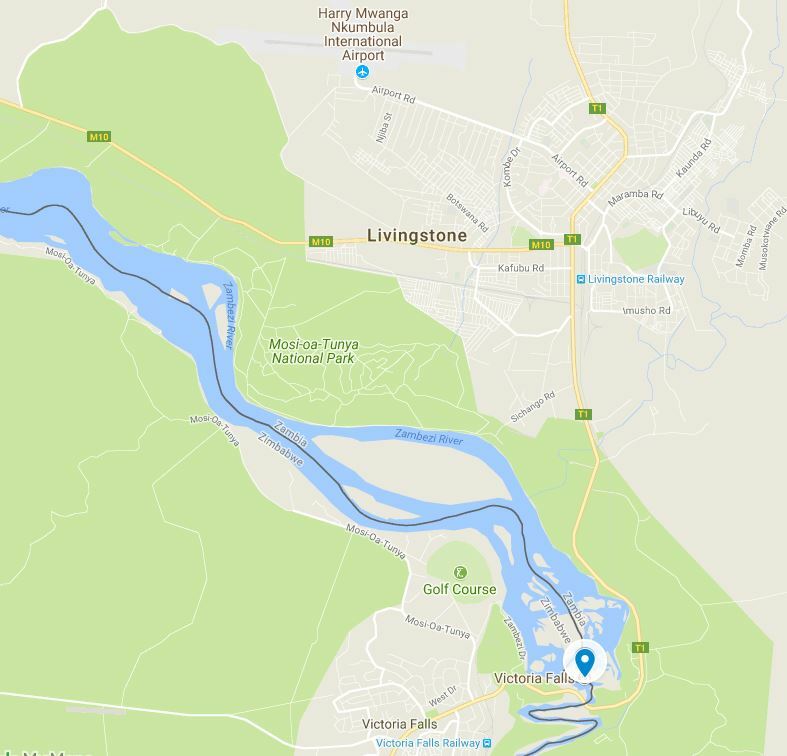 Arrive into Livingstone or Victoria Falls and transfer to your accommodation where you will check in for a two-night stay. 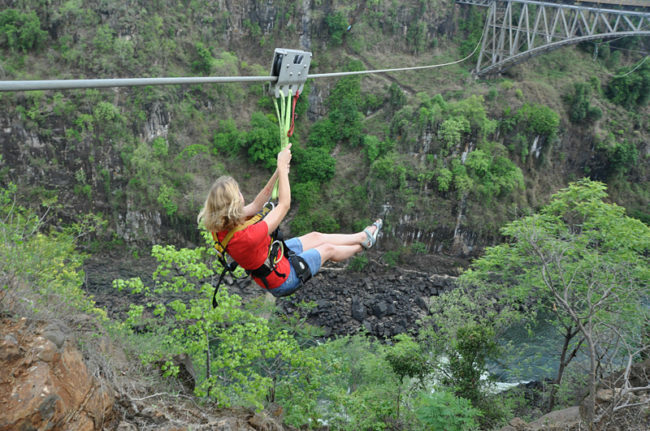 Depending on your arrival time you may have the opportunity to take one of the many optional tours available. Please ask us to send you the detailed list of some of the most popular touring options. 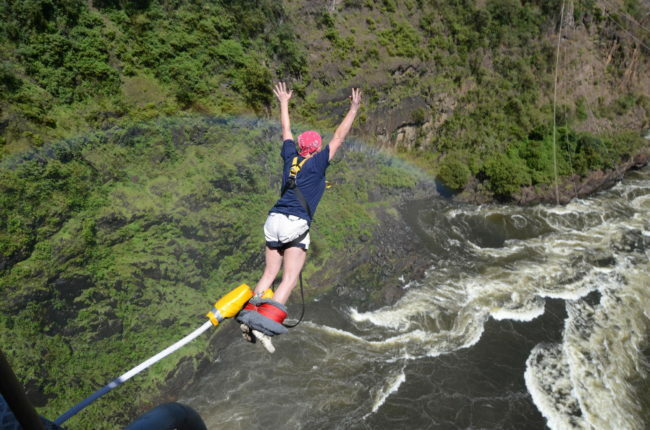 A day to book onto the optional tours of your choice. We can take care of making reservations for you on your chosen tours. It is recommend to book activity tours well in advance of your travel dates in order to guarantee space and avoid disappointment. Here are just a few suggestions, but there are many more! 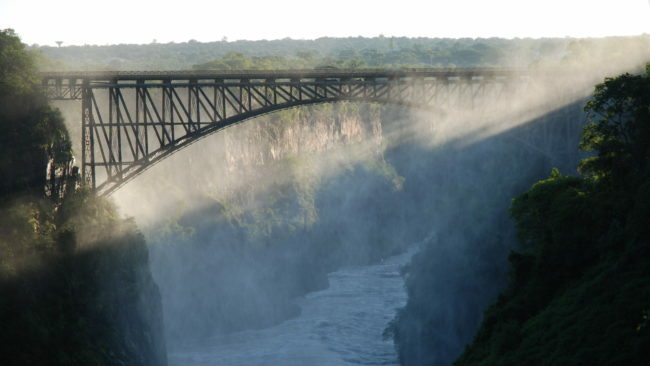 Historic Bridge Tour – a lighthearted but informative tour of the revolutionary Victoria Falls Bridge, built in 1905. 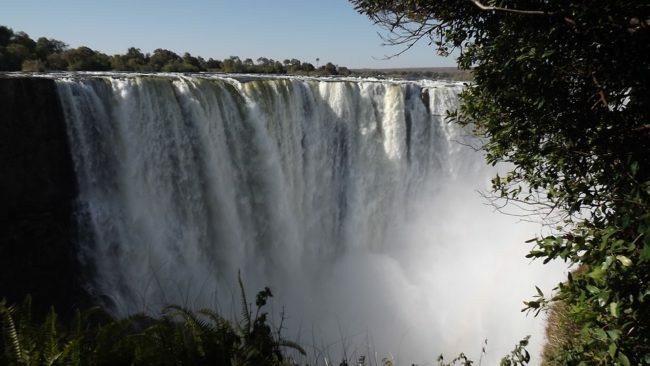 Mosi-oa-Tunya, Victoria National Park – explore the river bank and rain forest running alongside the Zambezi River while learning the history of the awe-inspiring Victoria Falls. 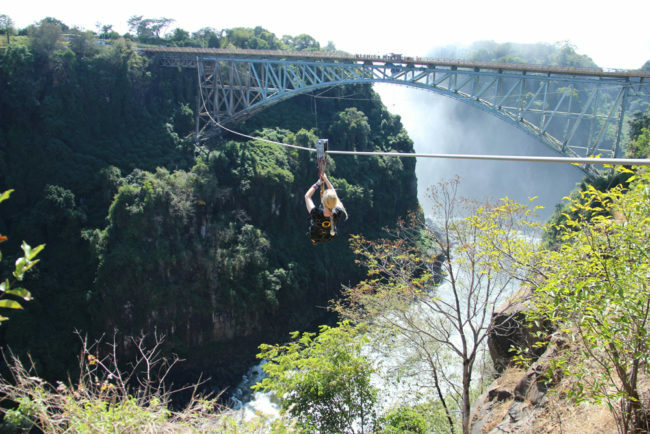 Bungee Jump, Bridge Swing, Zip Line and Cable Slide – a variety of exciting, adrenaline-pumping activities, all taking place high above the Zambezi River chasm and the tumultuous waters below. 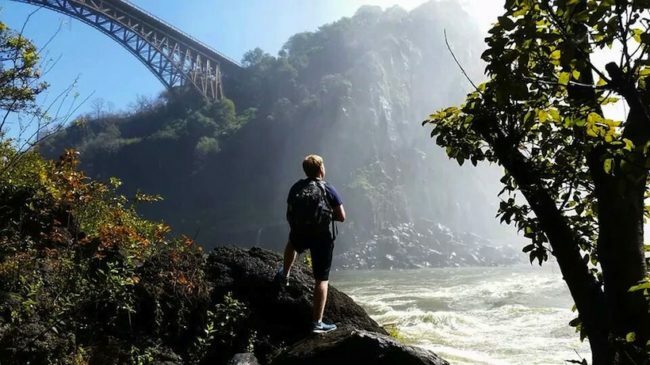 Bushtracks Express Steam Train – this pre-dinner train trip harkens back to the days of steam and takes you out onto the famous Victoria Falls Bridge for an amazing view. Home Hosted Meal – this initiative provides valuable income to, and empowers, local people. Visitors have the opportunity to meet a local family, see a traditional area home and share an authentic, home-cooked African meal with the hosts. 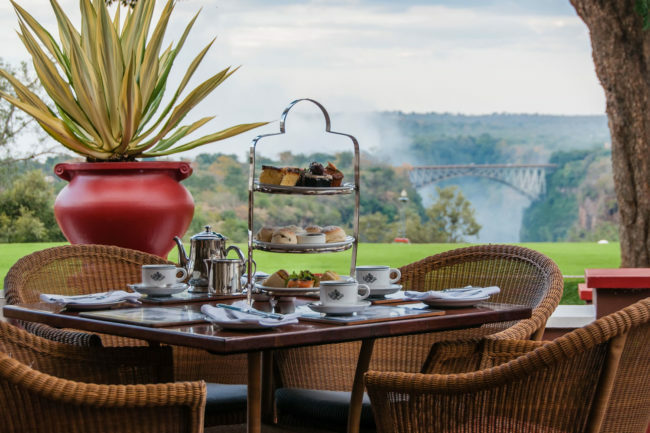 The Boma – Place of Eating – this unique, cultural experience combines a variety of food such as game meats and traditional Zimbabwean dishes, accompanied by entertainment from dancers, the Sangoma (story teller) and a local fortune teller. 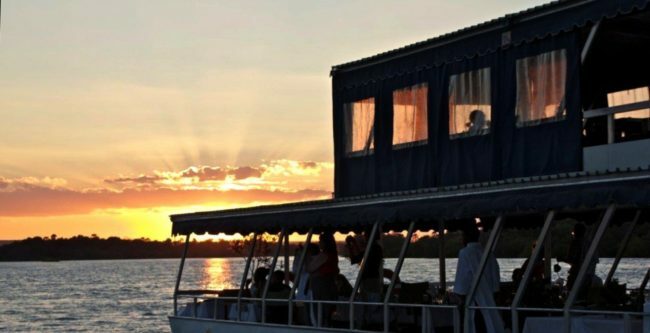 The Boma nestles in a Gusu Forest and is partly open to the spectacular night skies. Elephant Interaction Experience or Elephant Art – get up close to these majestic creatures and learn about them on the Interaction tour. You will have the chance to paint a picture of them on the Art tour (supplies included). Both tours include a buffet lunch. Walking with Lions – operating on a private property adjacent to the Zambezi National Park, this is an up close and personal experience with the Kings of the Jungle. 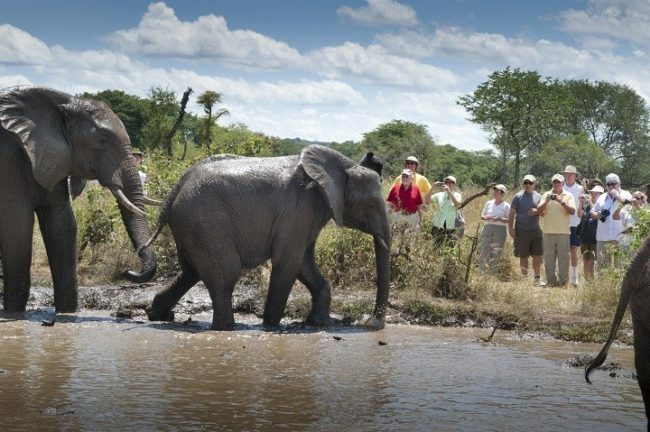 Shorter lion encounters may also be combined with Elephant Back Safaris or Rhino Encounter Game Drives. Traditional Village Tour – enter a different world where a way of life continues as it has done for centuries. Visit an authentic African village to see tribal life first hand, watch local villages go about their daily tasks and help in some of the day-to-day chores. 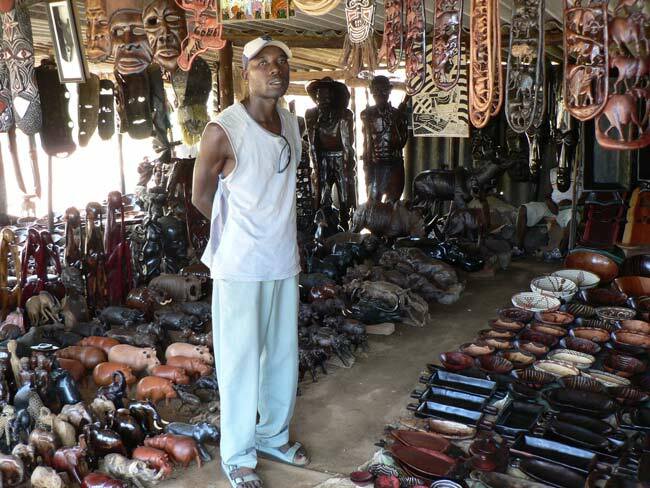 Craft Village Tour – visit this open-air Curio Market where many handmade Zimbabwean products can be found and talk to the artists about their art. This friendly market is the essence of local hospitality. 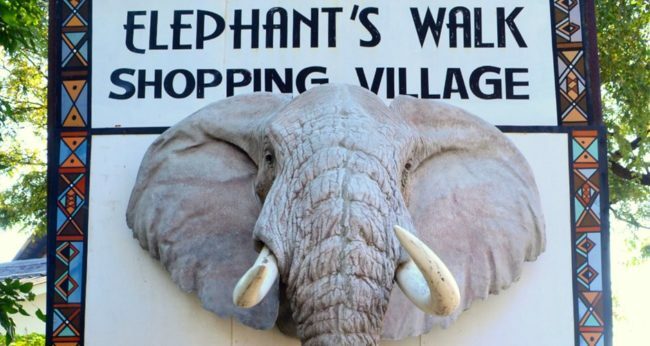 Elephants Walk Shopping and Artists Village – enjoy hours of browsing around some of the best speciality shops Zimbabwe has to offer. Meet local artists and craftsmen at work, creating uniquely Zimbabwean pieces. Entrance is free. African hospitality. This market can be visited on a guided tour or on your own. A small entrance fee is payable locally. 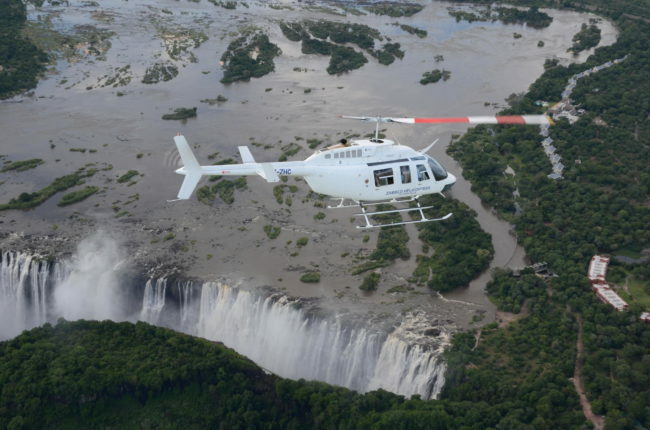 Check out of your accommodation and depart from either Victoria Falls or Livingstone Airport to your next destination. Should you want another day or two here we can certainly extend your stay. 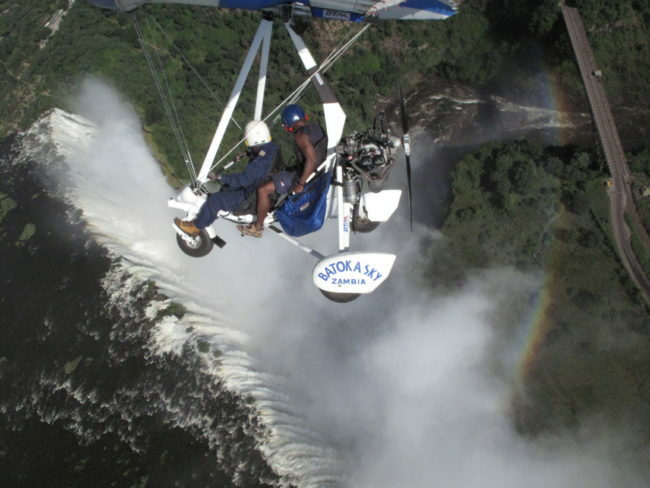 Optional tours should be booked well in advance to ensure availability as many tours do sell out. 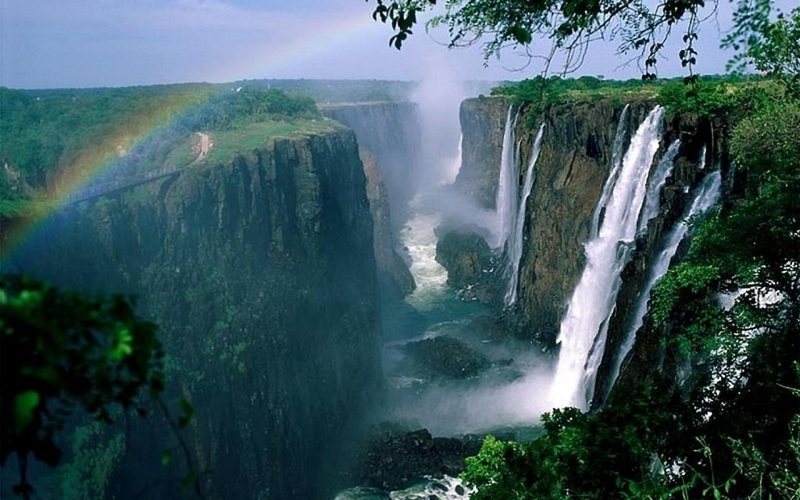 Many safaris are available from Victoria Falls/Livingstone including the Little Makalolo Camp in Hwange National Park or Chobe National Park in Botswana. Or you might choose to travel onward to Cape Town, South Africa to enjoy their summer weather and activities.